Pain A$AP Rocky & OverDoz. Fine Whine A$AP Rocky, Joe Fox, Future & M.I.A. 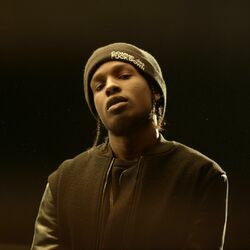 Discover more playlists and music by A$AP Rocky on PLAYLISTED. Like Walk (Remix), Runnin (feat. A$AP Rocky & Jacob Banks), Flight To Memphis (feat. Chris Brown, Juicy J & A$AP Rocky) and Sundress.